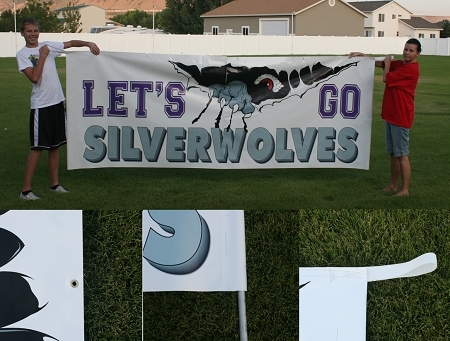 Designed by team moms, this quality banner is the perfect half-time accessory to show off your team spirit. Designed to be used before game-time, tear-away at half-time and reattach to hang on the side line during the game plus posing for photos after the game. 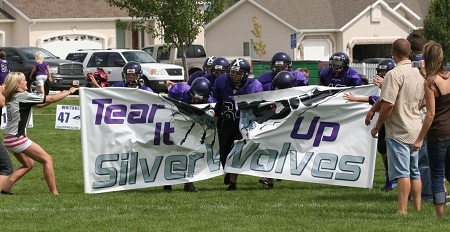 Tear-away banners are not just fun, they re-enforce team spirit and may give you that once-in-a-lifetime photo. Banners include heavy sewn-in handles and pole pockets to help prevent accidents during use.